Play Bingo 10 online for free now! Whoever says Bingo is boring has never played Bingo 10! Even though the aim of this game is also to complete number combinations on Bingo cards with number balls drawn there is support at hand: Firstly, 44 numbers are drawn at once, secondly with a little luck you can purchase extra balls to complete your winning patterns. Maybe they even include a Joker ball that allows you to choose the number you need for winning. 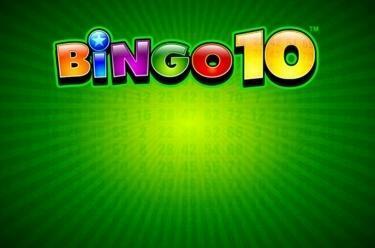 But the top feature of Bingo 10 is the jackpot: If you can shout "Bingo" after only one regular draw the jackpot is yours!